The big one we keep hearing about is fast and testimony meeting ceasing to be an open mic event. What that would mean is instead of just opening up the meeting for anyone to say anything (and we know how fast and testimony meeting can spiral out of control), the bishop would prayerfully ponder people to invite to bear their testimonies and then ask them to do so for the testimony meeting. The Brethren are definitely aware of how much we don’t capitalize on the opportunity to bear testimony appropriately, so perhaps we, like the Children of Israel, will be forced to live a lesser law. Update: Elder M. Russell Ballard discussed the importance of bearing simple, strong testimonies in testimony meeting and not getting bogged down in travelogues. Might that tell us that the Church sees fast and testimony meeting continuing in the future? It hasn’t been an easy year for Sunday school presidents, what with acclimating to two-hour church and finding the right rooms to hold all classes. They’re doing more work than they’ve done in years! But there’s also a growing trend to reduce the visibility of ancillary callings and put that responsibility under the combined auspices of the Relief Society and Elders Quorum, all of it in an effort to get that sort of work off the bishop’s plate and let him focus on the youth and other pastoral areas. This has already happened with the ward mission leader, so why wouldn’t it happen with the remaining non-auxiliary in ward council? 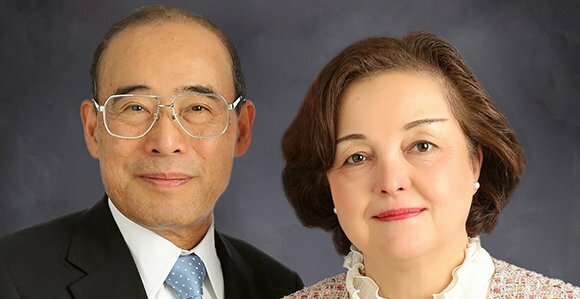 Were the Sunday school president to be placed under the charge of counselors in Relief Society and Elders Quorum, it would leave the presidents of those two organizations, plus Primary and youth leaders as the reps in ward council outside of the bishopric. It makes more sense as you think about it. However, as for this being something to happen in conference, as this post addresses, the chances are slim. 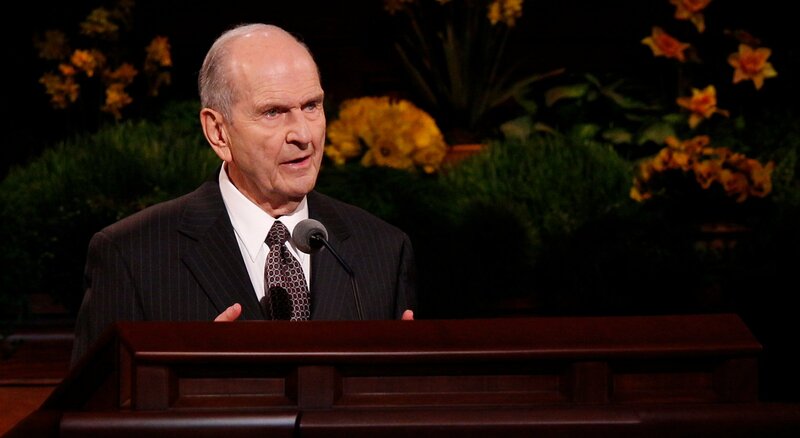 When the ward mission leader was deprecated, it happened via a letter from the First Presidency to leadership, and then made its way through official Church outlets. This was not a change that was necessary for a portion of General Conference to address because it did not involve amalgamating a priesthood quorum or other information that was essential to be covered in those meetings. Sure, a Sunday school president is usefulto ensure great teaching and that everything goes smoothly, but this can be dealt with in the same way as the ward mission leader. Plus, the importance of a Sunday school president might be diminishing a bit in the era of everything aligning with Come, Follow Me; there’s less ambiguity about what to teach and when or where. This one’s gone around for years, but we’re hearing, once again, that The Family: A Proclamation to the World will finally be codified as scripture as Official Declaration 3. Will this happen? Who knows?! We don’t! But this has been hinted at for literally decades. If it hasn’t happened in the past 20 years, why would it happen now? One Twitter user had some interesting analysis about the increased possibility of the Proclamation being canonized because last week the Church announced it was “simplifying” the scripture printing process. The odds of the Proclamation being canonized at conference just went up, btw. Usually there’s a compromise. And the church making the scripture printing changes could mean that they are gearing up for a major reprint. While the Church stated that it is simply reducing some style and color options of available scriptures and bringing the English language offerings in line with those of other languages, this could be within the realm of possibility. However, it’s important to stress that the Church did not say it was reformatting all printed scripture entirely, merely cutting back on some of the options for consumers. Update: Adding fuel to the fire is the fact that Elder Neil L. Andersen spoke extensively about the Family Proclamation in his Saturday remarks. This can be one of the thornier areas for Latter-day Saints. In the realm of rumors, what we’ve heard lately is very much just rumor. Pure hearsay with no evidence whatsoever. But let’s cover them! 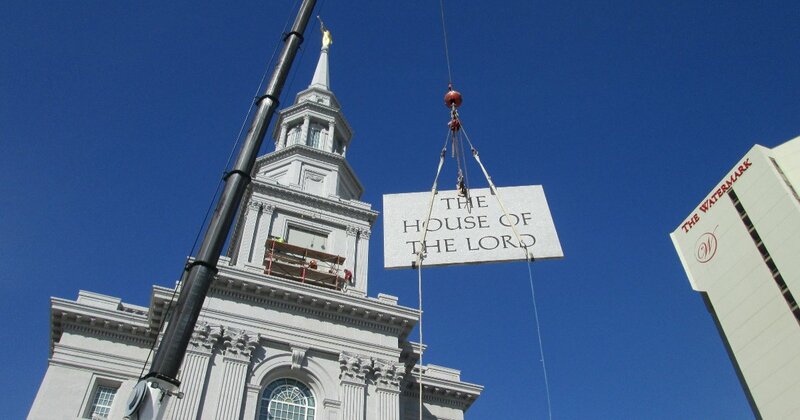 First, allegedly women will be called to the stake high council to fill half the seats there. But why 50%? Shouldn’t it be 51.9% to reflect the ratio of women to men in the world?! While we know that women serve in callings under the direction of the priesthood and with priesthood power, we also know that because of the April 2018 shift, the stake high priests quorum is now an irregular body comprising the stake presidency, the high council, and bishoprics, if that. Bringing women into the high council would either mean exclusion from the actual high priests quorum or a restructuring of the high council to be called something else and treated differently. We’re not expecting this to happen, but it would fall into territory that merits coverage in General Conference and not a letter. Another rumor is that girls of the appropriate age will be allowed to pass the sacrament along with the deacons. There’s nothing to back this up. Rumors are rumors. 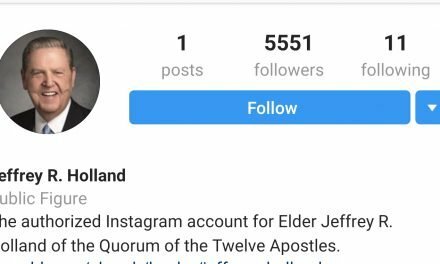 Maybe we are bad people for perpetuating any of them, but we’re trying to remind everyone that the Latter-day Saint rumor mill is a weird thing. It’s probably important to check our expectations and remember that as dramatic as the past year has been, and as many vitamins as we’ve been encouraged to consume, massive gospel bombs are unlikely every six months. Iterative change is more likely, hence the many letters and official memoranda, with large-scale announcements reserved for General Conference. With that said, happy speculating!